JDW 20/01: NATO Sea Sparrow missilprogrammet blev startet i 1968 af Danmark, Norge, Italien og USA. Er siden vokset til 13 lande inkl. Australien, Belgien, Canada, Grækenland, Holland, Portugal, Spanien, Tyrkiet og Tyskland. Hvert land har et medlem i styringskomitéen. 10 af disse lande deltager i udviklingen af ESSM (Evolved Seasparrow Missile), som produceres af Raytheon. 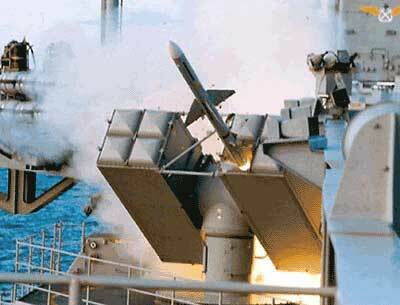 ESSM has been developed by Raytheon with an international co-operative of ten NATO countries and is designed to counter high-speed anti-ship missiles. It has the same semi-active radar guidance and warhead as the Seasparrow but has a new rocket motor and tail control to provide increased speed, range and manouvrability.